Emirates Data Clearing House (EDCH), a subsidiary of Etisalat Services Holding, is a regional leader in providing cloud-based roaming and revenue management services to over 50 telecom carriers worldwide. Speaking to Telecom Review on the sidelines of the EDCH-hosted GSMA event WAS#7 in Dubai, General Manager Nasser Salim touted the company's suite of solutions that enable operators to offer seamless customer experiences. 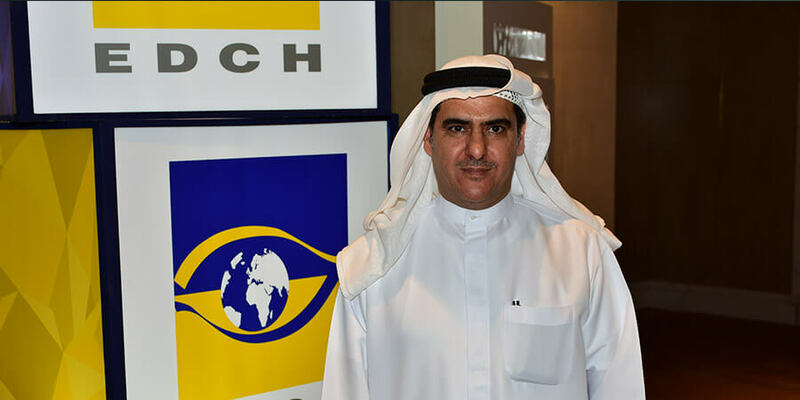 What is EDCH's role in the telecommunications industry in the UAE and abroad? Since its inception in 1994, EDCH was initially created to serve Etisalat in the UAE for its roaming business. EDCH's purpose was to collect all of the data and information for Etisalat's roaming customers when they traveled abroad. All the data comes to EDCH where we do data clearing, and then we send it back to Etisalat. The same goes for when a customer roams on Etisalat's network: Etisalat will send the data to EDCH where it is processed and sent to operators abroad. That was the start of EDCH - to serve the purpose of Etisalat. During that time, GSM was a brand new thing and roaming was a booming business. We thought, 'Why not serve other operators than Etisalat?' So, EDCH became a separate company since 1996. We started working with other operators outside of the UAE, in regions such as Africa, the Middle East and Europe, and some in the Far East. For these customers, we did the same as we did for Etisalat: helping to clear their data for their roaming business, as well as helping with the financial settlement at the end of the month between operators - working out how much each operator owes one another. Can you tell us about EDCH's solutions portfolio, and how you tackle challenges such as cybersecurity? In terms of our solutions, we initially started with the core voice and data clearing, and then later enriched our portfolio to add more value to our customers. We started creating NRTD (near real-time data) fraud detection - a very intelligent system that can detect fraud within the roaming business. Sometimes when people are roaming they conceal their SIM card and can abuse the network. The solution we have provided for our customers can detect this fraud and stop it. Our customers trust the solution and use it on a day to day basis to monitor their traffic and ensure 100% security. In addition, what we have done in recent years is adopt machine learning and artificial intelligence. We have built these solutions within our portfolio of products to provide these technologies to our customers so they can make forecasts on their traffic based on where their customers are roaming the most, among other use cases, in order to provide their customers with better offers and cheaper prices. The tool can essentially predict the future for roaming. Another area we are working on is big data, whereby we analyze the data of our customers. This provides them with an overview of the behavior of roamers, such as which countries they are traveling to the most, and then the operator can offer the best packages to their customers by making deals with operators in those countries. What are EDCH's cloud services, and how are they reshaping the telecommunications landscape? Most of our solutions are based on cloud, including our big data and analytical tool. We extend this to our customers so they don't have to invest much on infrastructure - they can use our cloud services and they can be up and running in a few days rather than having to invest in getting a solution up and running. In markets such as Africa where expertise can be limited, we can extend the expertise of our in-house experts. We are currently the biggest in the Middle East market in terms of our services, and number three worldwide, and we aim to be number one. Who are EDCH's clients and how do they benefit from your services? Currently, we have over 63 clients in our portfolio that are scattered all over the world. Most of our customers are major operators, including Etisalat, Zain and MTN. Most of our clients use our core services which include data and financial clearing, but many of them have expressed interest in new areas such as machine learning and artificial intelligence for roaming innovation. We have launched a new service called WiFi Roaming which is a new concept in the industry. The solution enables customers to access WiFi without having to enter a username and password to log-in. Our solution detects your SIM card and it can authenticate you to use the available WiFi, making it a very convenient solution for our clients' customers. If you go outside and move away from the WiFi, you will automatically be connected back to your GSM network. We predict that more operators will adopt this solution in the future. What is EDCH's relationship with the GSMA, and why are you hosting the GSMA Wholesale Agreements and Solutions Group (WAS#7) event? The relationship between EDCH and the GSMA started from our beginning in 1994. Some of the staff members of EDCH helped to write standards produced by the GSMA and many of our staff is still affiliated with the organization, working as board members or in GSMA working groups. We work very closely with the GSMA and we try to contribute as much as we can to the standards, particularly when it comes to roaming. Hosting the WAS#7 event in Dubai is very important for us. It's very convenient having so many people in the industry coming together. They are all from one category of the mobile industry which is the roaming business, so we can talk to attendees here and showcase our solutions to them. This is the second time we are hosting this event with the GSMA. What are your plans for the future of EDCH? Our plan going forward is to focus on innovative new business ventures such as our WiFi Roaming solution. We are also focusing on mobile money - we feel that when people travel they want to be able to send money over their network to pay bills, among other use cases, so we want to build this within the roaming business, to make it possible for people to do the same things online abroad that they would do at home. We aim to provide easy solutions to our operator customers that solve their issues, especially when it comes to financial services, and we feel that there is a lot of value we can add.